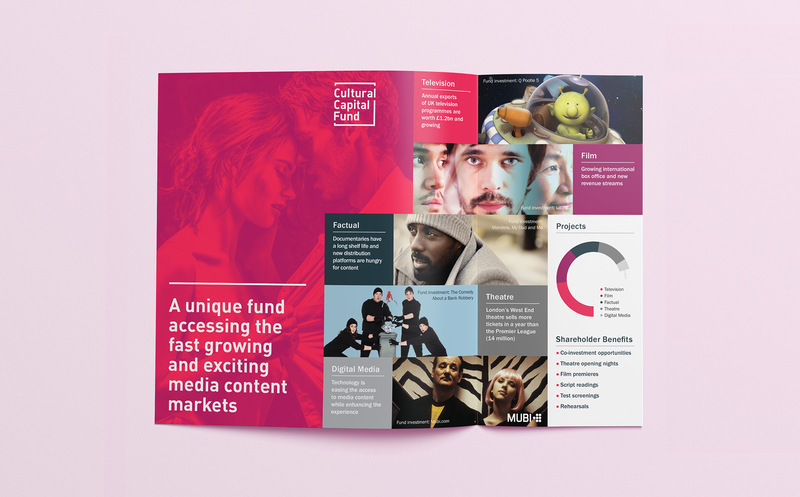 The Cultural Capital Fund (CCF) is a unique fund based in London, allowing individuals and institutions to access the fast growing and exciting media content markets. 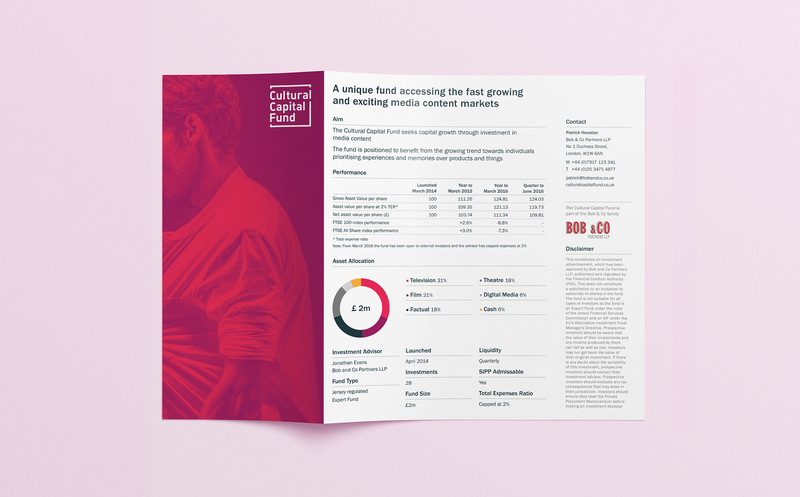 CCF approached Mediasterling with a dated logo and no company branding. 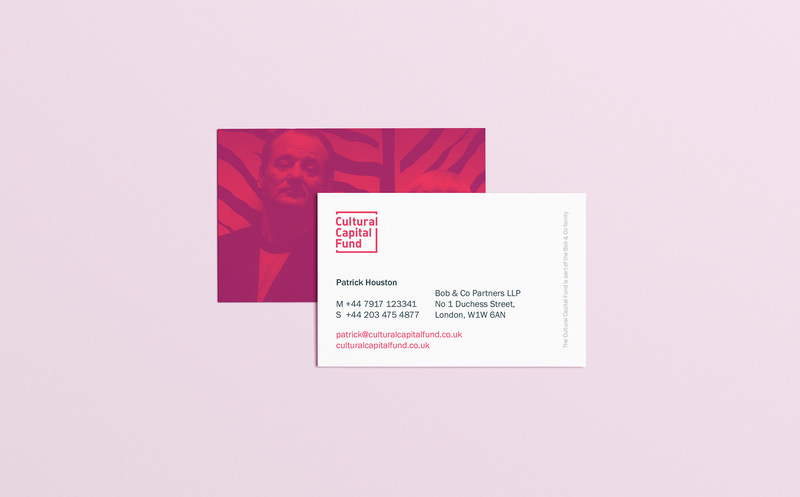 I was tasked with developing a new identity that reflected the exciting nature of the media sector. It was important that I retained the integrity of the old logo when redesigning it so that it felt familiar to existing clients and also appealed to a new audience. 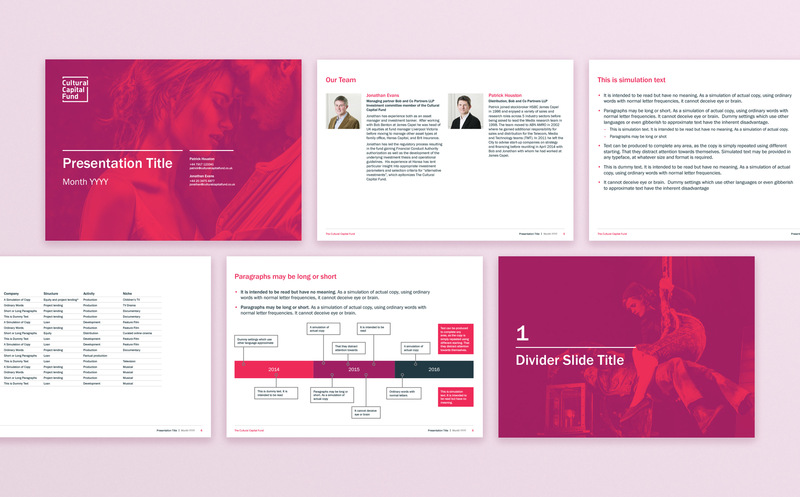 The new brand identity included bold duo-toned imagery to unify the variety of photography used, which was then rolled out across brochures, business cards, the website and a suite of Microsoft Office templates for presentations and newsletters.